The Franchise Research Institute® was founded on the fundamental premise that sound business decisions are based on solid business research. Rigorous standards and strict methodology are the cornerstones of our business philosophy. The Franchise Research Institute® is committed to producing research results upon which our clients can depend. Our methods are ethical, thorough, meet or exceed industry standards, and are transparent to our clients. The Institute provides correct and unbiased interpretations of results in our reports, and stands ready at any time to answer clients’ questions about their results and/or the methods upon which they are based. To be fair and ethical to the responding franchisees (who have been promised strict confidentiality) the survey responses will only be made available to the franchisor (or any others) in a form that will make it impossible to identify individual respondents. In most cases our surveys are performed as a computer-driven internet-based survey. Respondents are contacted as described below, given a unique password, and directed to a FRI website containing the survey. Respondents enter their passwords, complete the survey, and the results are electronically entered into a data file for analysis. Franchise Research Institute® personnel contact respondents by email, fax, mail and telephone, conduct follow-up reminders, and hire and supervised sub-contractors to provide information technology support and statistical consultation as required. All other work (from understanding the client’s needs to delivering results and consulting on their implications) are performed by Institute personnel. Franchise Research Institute® personnel pre-tested the online questionnaire with their own staff as well as other professionals in the franchise industry. It was determined that the questionnaire was correctly accessible online, that the questions were understandable and caused no difficulties in responding, and that the responses were being correctly entered into the data file by the interviewing software. The standard World-Class Franchise® Certification questionnaire, which is the backbone of this questionnaire, has been field-tested by more than 30,000 franchisee respondents in the past. All of the client’s franchisees in a geographical area that have owned the client’s franchise for seven years or fewer. In the first case, the inferences about the opinions and satisfaction of the franchisees can be generalized to the entire population of the client’s franchisees in the chosen geographical area. In the second case, inferences can be made only about the more recent members of the franchisee population in the area (i.e., those having joined in the past seven years). Why would a franchisor want to survey only the last seven year’s worth of new franchise owners? In some cases, substantial changes (such as policies, ownership, business conditions, contracts with franchisees, locations/markets, or business practices) have occurred in recent years, and the client may wish to judge their success only for recently-joined franchise owners. The survey results for these newer owners may give a more accurate impression to a prospective franchise owner of how his or her own satisfaction may be manifested a few years after ownership commences. The results in any published form will indicate which population was surveyed, in terms of geographical area and tenure as franchisees. Regardless of which defined population is used, the Institute usually attempts to recruit every single franchisee in the defined population (currently under a given brand contract with the franchisor) for the survey. The sampling procedure used here is called a census, and gives extremely accurate results, provided that the response rate is reasonably high. In every case, the sampling procedure, the total population, and the number of responses received (as well as the corresponding response rate) will be listed on the final page of the company’s report. If the number of total franchisees in the defined population for any specific franchisor is large enough, a random sample will be chosen for the survey. With a large population, a random sample of sufficient size will give very accurate results at a lower cost than a census. Each franchisee in the defined population (no matter how many units he or she owns) is given equal weight in sampling and analysis unless otherwise stated in the report. The sampling procedure used here is called simple random sampling, and gives us an opportunity to project the results from the sample to the entire defined population of franchisees. The list of franchisees in the defined population and their contact information is provided by the franchisor. From this list FRI personnel will contact all (or a random sample) of those franchisees by a combination of methods, including mail, email, fax and telephone. All recruitment pieces will contain an explanation of the survey, encouragement from the franchisor, instructions for completing the questionnaire on-line, and assurance of confidentiality by the Institute. To ensure that as many selected respondents as possible complete the questionnaire, those who have not completed the survey by five to seven days after expected receipt of the recruitment message (via email, fax or mailing) will be contacted again, if possible, by a method determined by the Institute. Up to four reminder attempts will be made, unless the franchisee completes the questionnaire or makes a definite refusal. To help ensure the truthfulness of the franchisees’ responses to the questionnaire, respondents will be assured in recruitment and reminder communications that their individual answers will be kept confidential, including confidentiality from the franchisor. To view our Statement of Ethical Standards in the Treatment of Research Respondents, which emphasizes our commitment to the ethical treatment of respondents, please email Mike@FranSurvey.com. The final sample of completed questionnaires should be large enough to allow an estimate of responses from the entire defined population of franchisees, within a margin of +4 %. In many cases, the accuracy will be higher. This kind of accuracy arises from controlling random sampling error through adequate sample size. It does not control for inaccuracy introduced by non-response, as explained below. A concerted attempt may be made to recruit a small random sample of the non-responders to complete the questionnaire. The percentages and averages computed on this small sample (properly tested statistically) can provide an indication of the direction of any bias. In this case, it can be construed that the results of the survey are probably close to the true opinions and satisfaction of the defined population of franchisees as a whole, or that any differences are minor. There may be an examination of the percentages of survey respondents on demographic questions to see if they are a rough match to the defined population. “Demographic questions” in this case refer to franchisee age, number of units owned, etc. If the responders, for example, are disproportionately single-unit franchisees (relative to the entire defined population of franchisees) the Institute may either 1.) weight the responses of single-unit responders less than those of multi-unit responders, to make the overall percentages and means more accurate, or 2.) present the results of single- unit and multi-unit franchisees separately, allowing the reader to understand each group separately. Weighting would be done when the demographic match of the responders to the defined population is similar, and separate analysis would occur when the match is less comparable. The survey report provides simple analysis of percentages and means for each question. The percentage of responses supplied for each question will be from those individuals that chose to supply a specific response. The sampling error accuracy for the means and percentages will be reported. When requested by the franchisor, additional analyses for sub-groups of franchisees can be done, as long as the subgroups are large enough to keep the answers of any individual franchisee from being suggested by the subgroup analysis. 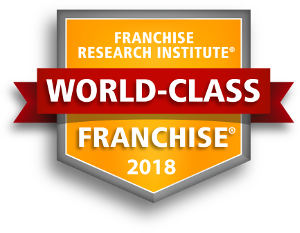 Franchise Research Institute® is a research organization owned by Johnson Franchise Consulting, Inc., a Nebraska corporation. Dr. Dwayne Ball received his Ph.D. in 1982 in mathematical and statistical psychology from Ohio State University, with a minor in consumer behavior research. He served four years as a consumer research manager for Proctor and Gamble, and was a visiting professor at the University of Canterbury in New Zealand in 1986. Dr. Ball currently serves as an Associate Professor of Marketing at the University of Nebraska, where he has taught marketing research, consumer behavior, database marketing, and related topics to undergraduate, masters, and Ph.D. students. Dr. Ball has consulted with many large and small companies and government agencies, and has taught numerous business seminars on marketing research, database marketing, and customer relationship management, both in the United States and abroad. In 1999, Dr. Ball was given a Fulbright Award from the U.S. government to teach and study at the Institute for Statistics and Information Management in Lisbon, Portugal, where he continued to serve as a guest presenter. He was designated a Fulbright Senior Scholar by the U.S. government-sponsored Council on the International Exchange of Scholars in 2001. Dr. Ball has published articles in the Journal of Marketing Research, the Journal of Consumer Psychology, the Journal of Business Research, and many others, and has presented numerous papers at national academic meetings. 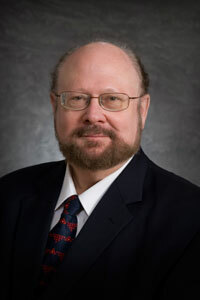 His research interests include the validity of multivariate statistical techniques used in market research, the measurement and role of major life themes in consumer behavior, and the protection of academic freedom.